Certification from Borshim Campus, University of Tel Aviv. Shani became a professional massage therapist in 2009 after gaining her certification in Reflexology. She has since gained training in multiple massage techniques, including Swedish Massage, Hot Stone Massage, Cupping and Deep Tissue Massage. She enjoys focusing her techniques on the individual’s healing and wellbeing. Shani grew up in Italy, so knows how to enjoy life and is an “Olah Hadasha” since 2008. 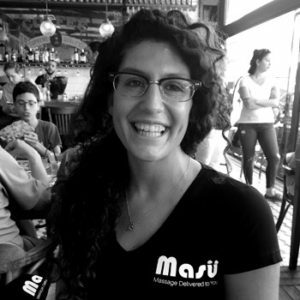 Shani was excited to join the Masu family after her friend recommended her and we have been enjoying great feedback about her ever since. Certified Massage Therapist and Lecturer. Certification and Lecturer at the Reidman College for Complementary and Integrative Medicine. 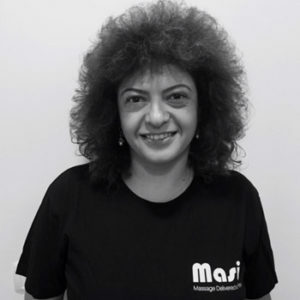 Hanan was one of the first therapist to join the Masu family. He has been invaluable with his network and recommendations helping us grow and become what we are today. Hanan feels that massage therapy is a tool that helps others achieve their overall healthy living goals and he enjoys his rewarding job, helping others and giving all that he has. 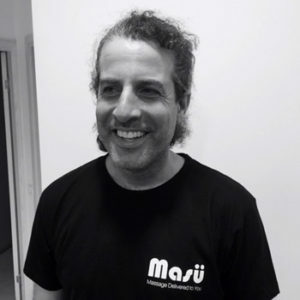 A certified massage therapist since 2004, Hanan has studied various techniques both in Israel and abroad and continues to this day to expand his knowledge in various therapeutic techniques. Hanan teaches in the Swedish Massage Course at Reidman College instructing and preparing students at the beginning of their therapist careers. He truly loves what he does, and to top it all off, Hanan also teaches ashtanga vinyasa yoga, he does this as private lessons as well as to small groups. Certification from Reidman College for Complementary and Integrative Medicine. Iris is an amazing massage therapist, she is warm, hard working and we must say a very friendly person whose hands will make you feel cured, even if you weren’t in any pain to begin with. With her touch, she can help relieve pain, rehabilitate injuries, improve circulation, relieve stress, increase relaxation, and aid in the general wellness of anyone lucky enough to get her. Iris has over 15 years of professional experience and has gained certifications in many modalities including: Swedish, Sports/ Rehabilitation and Pre/ Post- Natal Massage Therapy. She loves meeting new people and sharing the warmth. However, with no car she only takes orders in the North Tel Aviv area or couple massage bookings, where she gets a lift with a fellow Masu. Lori is our token Tel Avivian therapist. She is an avid traveller and has worked on film sets, and various other jobs before her fascination with massage therapy developed into a profession. She has spent a number of years travelling abroad, and when she eventually settled back in Israel she worked to gain her certification in massage therapy. Lori has over 6 years of professional experience and has gained certifications in many modalities including: Combined Thai Massage, Swedish and Prenatal Massage Therapy. She loves meeting new people and helping them find relief and a more pain free and stress free lifestyle. Certification from The Israeli Centre for Oriental Medicine Studies . Asaf lives in a kibbutz with his family and practices Tai Chi regularly. He has been a massage therapist for over ten years and continually works to expand his knowledge in order to provide his clients with the greatest level of care both for pleasure and on their way to recovery. He is experienced in multiple massage techniques including swedish massage, prenatal massage and thai-yoga therapy and brings his experience and professional treatment to each client he works with. 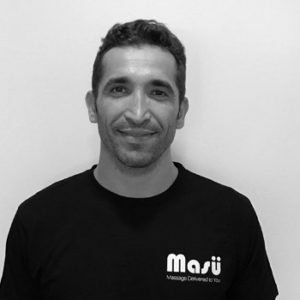 Asaf was one of the first to join the Masu family and has been receiving great feedback from clients which included “thanks for sending such an amazing massage therapist – he has hands of gold” and “I feel so good after the massage, will definitely be asking for Asaf again”. Certification from the Tiltan College for Alternative Medicine. Sigal became a professional massage therapist in 2015, but has been massaging her friends for as long as she can remember. “They encouraged me to do it as a profession because of my calming touch, I eventually agreed and have never looked back”. 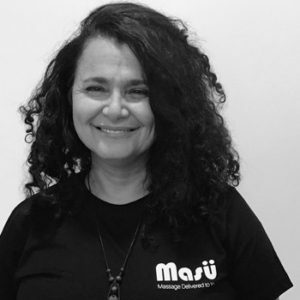 She is a medical massage practitioner amongst other massage techniques, who focuses on the individual’s health and well being knowing that each person goes through a variety of issues throughout life. She makes it her priority to improve people’s wellness. Sigal is very empathetic, with a high degree of sensitivity toward her patients’ physical and emotional pain. 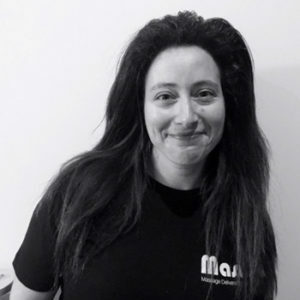 She was one of the first to join the Masu family and when she isn’t relaxing on some Greek Island, she keeps busy with her returning clients and new orders coming in.